As young artists, John Smart and Richard Cosway studied in London at the Royal Society of Arts drawing academy in the 1750s. The academy held an annual competition, which Cosway won in 1755. Smart went on to win the following three years, and a rivalry was born. 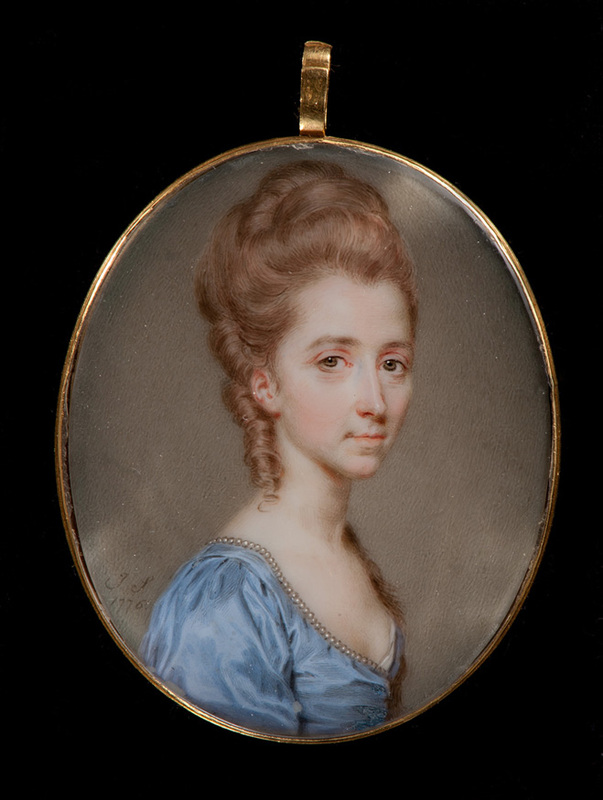 Smart and Cosway became the most successful miniature painters working in Britain in the late 1700s, but they painted in dramatically different styles. While Cosway created flattering, airy portraits, Smart painted carefully observed faces in saturated hues. This exhibition of 15 works by the two artists contrasts their styles and career paths. John Smart, English (1741–1811). Portrait of a Lady, 1776. Watercolor on ivory, 1 15/16 x 1 5/8 inches. Gift of the Starr Foundation, Inc., F65-41/17.